Moldova: A Wine Lovers Paradise! I can see you scratching your head. Moldova. Even the locals asked me why I would choose to visit Moldova. It seems a fair question for this tiny country tucked away from mass tourism. Moldova was once part of the Soviet Union and has been rated in the past as the poorest country in Europe. What it lacks in traditional beauty of most Western European cities, it more than makes up for with local flair and tradition. But I know you’re still wondering…why Moldova? As someone who has traveled extensively around the world and has seen a lot in my time, I was genuinely eager to visit Moldova. I was ready to see something new and unique. I’ve seen Paris, Barcelona, London, Rome, Vienna, etc. While those cities are all beautiful in their own right, they get a bit redundant, bleak, predictable, and rammed with tourists! I wanted to visit a country that was raw and devoid of any tourists. I wanted to experience a different culture, go somewhere off the beaten path. I wanted to feel like I was really being adventurous instead of following the masses to the usual places everyone’s heard of. Also, my inner wine-lover knew that Moldova would be a paradise for myself and fellow wine lovers alike and I knew that Moldova and that entire region was dirt cheap to visit and enjoy. The capital of Moldova is Chisinau. It’s pronounced like “Kish Shen Now.” Moldova shares borders with Romania and Ukraine. The country has around 3 million people. Romanian is mostly spoken in Moldova, along with some Russian and Ukrainian in the north. Moldova was once part of the Soviet Union and gained its independence in 1991. After a serious economic crisis in the 90s and early 2000s, Moldova introduced the Moldovan Leu, which is the currency here. A few places will still take Romanian lei, if you happen to come from Romania. I must also add that Romania is another wonderful place to visit if you get the chance. Safety has been a hot topic when it comes to Moldova. Despite what you read online, Moldova is quite safe. I walked around at night alone and felt no danger. I also got a cab solo at 2:00 A.M. from the airport. With a little common sense and a lot of awareness, you are fine. Petty crime accounts for the majority of the crimes committed, which is common for any European country. You should know that I visited in November. I’m not going to lie. It was probably the worst month in the year to visit. Winter months are very rainy and cloudy. It rained both days I was there. However, if you are going to visit the wineries and be inside mostly, then it’s still a great place to go in the start of winter for a weekend away. I would truly recommend going in the summer. It’s sunny and hot, and you can sit outside while drinking as much of the finest wine in the world as you want to. I was traveling prior to my arrival in Moldova, so I chose to travel via Ukrainian Air. Many thanks to Dumitri Brinzan over at Travel Moldova, WWW.TRAVEL.MD, for having an amazing hotel room waiting for me. My stay was at The Bristol Central Park Hotel. I couldn’t have had a better view. I had a panoramic view of a beautiful park. And the rooms?! They were gigantic with stunning fixtures and beautiful silk chairs and bedding. The location was truly superb within just 15 km from the airport and 10 mins walk from the city center with many bars, pubs, and cute restaurants nearby. There is a lovely spa and fitness center here and they even have cars to rent so you can zoom around the Moldovan country side. I felt like I was staying in a Moldovan castle. There is not better hotel in Chisinau to stay. Boutique hotels or hotels authentic to the country are my favorite options. Chain hotels are great when it comes to consistency. I can get consistency anywhere in the States. I want unique and custom flavors, local vibes, and ethnic culture when I travel. I definitely experienced all of that at the Chisinau. The breakfast at Bristol Central Park was lovely. The options were endless, and the attention to detailed extended even to the breakfast room. The room alone felt like a royal palace. I was very fortunate to get a room here for the duration of my time in Chisinau. It made all the difference to my stay. Plus, like I said, the location is perfect. Once again, if you like a stunning authentic hotel perfectly located with very large and immaculate rooms and sweet staff then truly is your place to stay! Now the most important topic of Moldova: Wine. I’m a wino. I love red wine. Chisinau and Moldova was Heaven for me because it’s a birthplace of wine. I think Georgia and Armenia also claim this title, but details schmetails. Nonetheless the wine is amazing and some of the best I’ve ever had. They also have some extraordinary wineries and wine cellars. I got to visit the famous Cricova Winery and do a tour. I was blown away with that experience. It was so cool. Cricova is the second largest wine cellar in Moldova next to Milestii Mici. Although, Milestii Mici is also the largest wine cellar in the world, and also in Moldova. I strongly recommend a visit there if you have the time to drive from Chisinau! Cricova hosts wine collections from people like Barak Obama, John Kerry, and Vladimir Putin among many other influential and famous people. A tour there should definitely make the itinerary cut. It’s around 25 euro, but it’s truly an immersive experience into the wine culture. 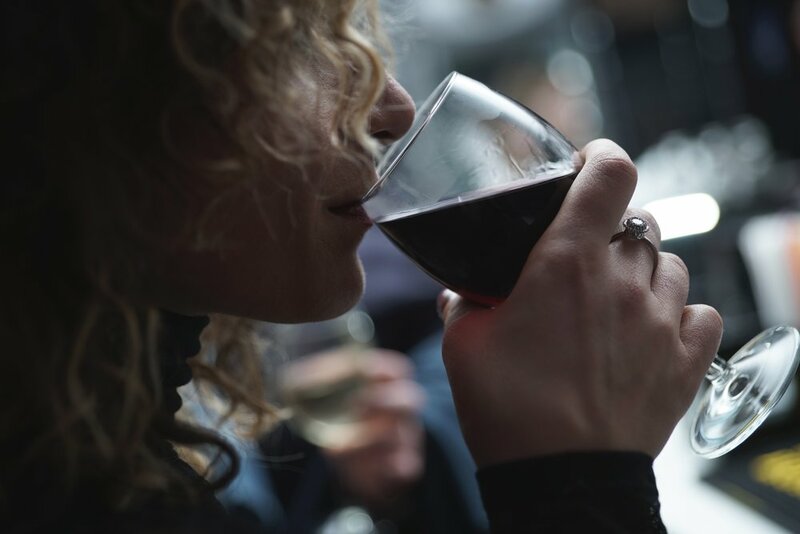 You will get to see their huge cellars underground, learn how they make the wine, the history of Cricova; you get to see the private collections of famous people from around the world, and you even get to do wine tasting at the end. Let’s face it, folks. I would have happily paid the 25 euros just for the wine tasting. Cricova is famous for its dry and sparkling wines. It’s one of the few wineries in the world that produce sparkling wine using the Champenoise method. Visiting the wineries is something you can do rain or shine. You’ll be very deep underground the entire time. Just beware that your phone will not work when you’re in the cellars underground. Now, back on the winery Milestii Mici. It’s the largest in the world and is in Guinness Book of World Records. It has hundreds of kilometers of tunnels and even an underground river. It really should be a must-do on the list. Especially since it has the biggest cellar in the world! Hello? You get to go home and brag to everyone that you drank wine in the biggest wine cellar in the world. It’s massive down there, too. It’s like a little city underground. You have to see it to believe it. Another notable winery is the Chateau Vartely Winery. It’s only an hour or so from Chisinau. The Chateau was another impressive facility with a large collection of wines. And last but certainly not least, the last winery I would like to recommend is the Purcari Winery. Founded in 1827, it’s about 2 hours from the capital and well worth the drive. Chateau Vartely Winery has been unchanged since being founded. It is the oldest winery in Moldova and very famous. As famous as Moldova is for its wine, their "Divin" is unrivaled. Although I did not taste it, the national brand is Kvint. I tried…let’s be honest. I did more than just try. After the first sip, it took little effort to enjoy four…okay!...five glasses on the rocks. Let’s just marvel at that for a second, though. You see, I’ve never tasted cognac in my life. What better place to try it than Moldova, a country known for its Divin which is basically like cognac? Smooth. It’s the only and best word I can use to describe my experience with cognac. It’s a drink that goes down easily. And much quicker than I realized. I don’t remember much after the fifth one because the night faded away so quickly from there. I had a good night. It’s easy to have a good night out in Moldova with the bar life, hospitality, and the smooth wines and cognac. It was such a fun weekend. Do not try and drink any under the table. Moldovans can drink. I have a few friends who I can hear right now. “You’ve seen me drink. Right?” My dear friends, yes, I have. That is why I warn you. Do not try and outdrink a Moldovan. Speaking of the people of Moldova, they are just some of the nicest people. They were all very welcoming and inviting. You know the feeling. Imagine that family reunion you went to last summer. You ran into all kinds of people whom you hadn’t seen in a long time. No matter, though. Great-aunt Karen greeted you with a giant warm hug and the time spent apart melted away. Moldova is the family reunion. Except you’re a stranger. Yet no one seems to notice that they’ve not met you before. They pull you into their conversations as though they’ve been waiting for your input. There was nothing pretentious about Moldova or its people. Moldovans are humble and kind. The demeanor here was a breath of fresh air! You’ll have a blast here if you come to have a fun weekend away. While you’re out exploring the countryside, take a moment to visit some of the lovely churches outside of Chisinau. There is also a monastery on the mountain called Tipova Cave Monastery. I went inside. It’s truly lovely and contained a surprising amount of history about it, which is cool. On the side of the mountain, there is a door that you can walk out. Underneath you is a river with astounding views. The pictures don’t do it justice. Remember when I said I went in November? Well, it was rainy and cold. Just imagine it in the summer. It’s lovely. While I was visiting, I was able to get in touch with a fellow blogger in Ana @anaciorici She was amazing! She took me to all the places I visited and was an amazing host. I adored her and her family! I wasn’t kidding about the family reunion reference, you guys. Moldovan people are so hospitable, like a lot of Eastern European countries. People there have a ton of pride and love for their country. It’s evident they want you to enjoy your time as well so they will do whatever they can to make you happy and make sure you have a nice time. Through Dumitri, I was able to meet Ana, who then introduced me her friend Nadia. Nadia is now also a friend who I have met up with in London and kept in touch with. It’s such a small world after all. Ana and I have also reconnected in Amsterdam recently. She is now living there with her family. Her hospitality in Amsterdam was so touching. This is just the Moldovan way. I really like that about a country and their people. I’ve been to several countries where the people don’t give you the time of day or don’t care at all if you enjoy it or not. In Moldova, what makes a person beautiful is their willingness to open their home and share their blessings with everyone around them. Even if that someone is a complete stranger. By the end of your visit, you will no longer be a strange face in the crowd. You will be family. While you’re out site-seeing in Chisinau, be sure to check out The Parliament building, The Arch, The Victory memorial, and eternal flame. The eternal flame can be seen in a lot of Eastern European countries. It has such a mystical aura to it. Also be sure to check out Cathedral Nasterea Domnului, St. Theodor Tiron Convent, Orthodox Cathedral. Even the railway station. It’s really cute. There are also countless museums if you enjoy museums. I don’t typically seek out museums anymore. I’ve seen so many in so many different countries. They are interesting to see, though. Especially if you’re a beginner traveler. 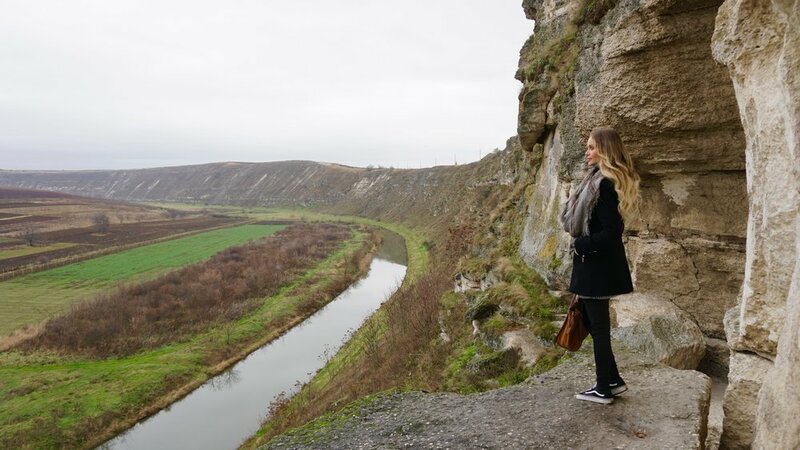 Some cool sites to see in Moldova outside of Chisinau are also The Thanksgiving Candle, Soroca Fortress, Orhei Historical Complex, and Hancu Monastery, Rudi Monastery, and Noul Neamt Monastery. These are just a few of the top ones, but there are many others if you are keen to check everything off your list. I think a three-day weekend here is perfect to see everything and experience the superb hospitality and drink amazing wine and have some delicious Moldovan food. It’s a country off the beaten path, but it’s such a nice one to discover. I love going to places not everyone goes to. I enjoy sharing the stories from these hidden gems and breaking up the usual stories of London or Paris or Rome. It’s nice to share stories of places not many people have visited or experienced. It makes for a very interesting conversation in my opinion. More Wine Tasting, Vinaria Et Cetera. Gastrobar, Pegas, Zaxi, (Great for drinks and has a nice terrace), Café café for great food and dancing, Qbar, Buddha Bar (love this place), Penthouse (great for shisha and good cognac) Kiku, Osho, and Entourage for the glamourous people. I Bet You Didn't Know Norway looked like this!